When we purchase clothes for young children, we normally think about how they will fit and whether they will look good. We normally do not worry about whether they present an unreasonable risk of burn injuries due to a defective design. We don’t concern ourselves about this because we assume manufacturers of children’s clothing have followed the law and all recommended safety guidelines and do everything in their power to avoid safety risks. We also assume if a company learns of a problem, it will immediately issue a voluntary safety recall and notify the public. According to a recent news article from WFLA News, one manufacturer of children’s pajamas is recalling its products as a result of a violation of the federal flammability regulation. Officials have reported the pajamas in question pose a significant safety risk due to burn injuries. 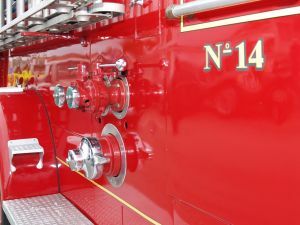 In response to this alleged violation of federal flammability standards, the company says they are recalling around 8,000 units affected by this issue. The company also urges parents to have their children stop wearing the potentially hazardous pajamas immediately. The pajamas involved in the recall were one-piece and two-piece sets made of 100 percent polyester. Fortunately, no injuries have been reported as result of the burn hazard, but these allegedly defective children’s pajamas were sold from 2012 to 2015. As our burn injury attorneys have seen all too often, burns are among the most painful and dangerous types of personal injury. The severity of the injury is dependent upon the area of the body affected and the degree of the burn. While most people have heard there are three degrees of burns, there are actually four degrees commonly used by the medical community. A first-degree burn can be caused by the sun and usually involves redness, flaking or peeling skin, mild to moderate pain, and a feeling of heat. These burns will usually heal without medical treatment. Second-degree burns often involve blistering and appear wet. These burns can be extremely painful, or the skin can feel numb. Second-degree burns can be classified as either partial or full thickness. Serious second-degree burns may require skin grafts. Third-degree burns are full thickness burns involving destruction of all layers of skin, as well nerves, tendons, and muscle tissue under the skin. These burns pose the additional risk of patients developing serous infections, as the skin is no longer there to shield the body from germs. Finally, there are fourth-degree burns, which involve destruction of all external and internal tissues, including bones. Fire, extreme heat, electricity, and caustic chemicals can cause fourth-degree burns. As these are the most serious types of burns, victims do not often survive large area burns of this type. Regardless of the degree of burns, a burn injury requiring treatment at a hospital will often be very costly in terms of medical expenses and subject victims to a great deal of pain and suffering. There will also likely be a lengthy recovery time during which the victim may lose a considerable amount of money from lost wages. These are all things you should discuss with your burn injury attorney when preparing your case.